The movie Transformers 5: trailer, clips, photos, soundtrack, news and much more! The sets of Transformers 5 sure don’t lack stunts and explosions. The film is going to be a real blast! The fifth Transformers movie will hit theaters on June 23, 2017. Giant robots make for humongous thespians, don’t they? Bumblebee kind of looks like a kid Transformers on this poster, lol. And whose world will survive? Or will both worlds combine together? to life in stunning IMAX 3D. The fifth installment in the Transformers movie franchise will be released in theaters on June 23, 2017. You want to know why they keep coming on earth, don’t you? Want to learn about the secret history of Transformers on earth, right? You do want to unlock the past? Then go see TF5 in theaters: it’s going to be one mighty giant blast on the big screen! Michael Bay’s latest Transformers movie will hit theaters on June 23, 2017. Transformers have always been on earth and meddling with human affairs… Will mankind ever be free from their influence? They have been here forever! I don’t Bumblebee really stands a chance against Optimus Prime… hopefully he will manage to escape! There comes a moment when we are called upon to make a difference! When all seems lost a few brave souls can save everything we’ve ever known! One thought: there are so many planets in the universe, but those damn giant sentient robots have have to pick our lonely planet! I say mankind would be better off without the Transformers and their likes, lol! Arriving in theaters on June 23, 2017. Izzy (Isabela Moener) is a great character: she’s way more interesting than Sam Witwicky (Shia Lazbeouf) actually! I guess she’s set to become the new lead character of the franchise. What about you? Do you like Izzy? The movie Transformers 5 The Last Knight will be unleashed in theaters on June 23, 2017. Transformers The Last Knight Poster – Rethink your heroes! Optimus Prime’s eyes are shining purple. Is he under the control of that giant flying thing in the background? And is Unicron, Optimus Prime’s evil twin brother, hiding in that thing? What do you think? Two worlds will collide in this new dark epic installment in the Transformers franchise! So what do you think of this first trailer of Transformers The Last Knight? Share your thoughts with us below! And do you think Optimus Prime will really kill Bumblebee? The cast includes Mark Wahlberg, Stanley Tucci, Isabela Moner, Josh Duhamel, Tyrese Gibson, John Turturro, Liam Garrigan, Jerrod Carmichael, Mitch Pileggi, Laura Haddock, Santiago Cabrera, and Anthony Hopkins. Transformers 5 will hit theaters on June 23, 2017. 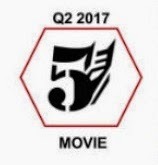 The fifth installment in the Transformers will be a real action feast! And yep, a real trailer will be released tomorrow, so stay tuned with us! In theaters: : June 23, 2017. Transformers 5 The Last Knight Movie – Michael Bay loves IMAX 3D! Get ready to be literally blown away by his signatures explosions then! Transformers 5 The Last Knight Movie – New Footage from the set! The cats includes Mark Wahlberg, Isabela Moner, Josh Duhamel, Tyrese Gibson, Stanley Tucci, Jerrod Carmichael, Mitch Pileggi, Laura Haddock, Santiago Cabrera, Anthony Hopkins, and Liam Garrigan. The movie transformers 5 The Last Knight will hit theaters on June 23, 2017. They’re having a real blast filming this fifth installment, aren’t they? Sqweeks kind of reminds me of T-Bob, the little scooter robot from the animated TV series M.A.S.K. The movie Transformers The Last Knight will open in theaters on June 23, 2017. Transformers 5 The Last Knight – Barricade and Onslaught are hunting for Autobots. Any idea who the antic blue Volkswagen Kombi van is supposed to be? Do you like this first official teaser poster of Transformers 5 The Last Knight, the upcoming action science-fiction movie sequel directed by Michael Bay? A bit artsy and ugly… but well, I guess it’s better than nothing, lol! There’s a medieval feel too it, but what about those space stations hovering in the sky? A Transformers helmed by Michael Bay must of course feature many explosions otherwise it wouldn’t be a Michael Bay movie! The film will open in theaters on June 23, 2017. Do you like Drift’s alt-mode? Still no official plot synopsis, but according to the online rumor this new installment would revolve around the Transformers’ origins. So Squeeks is some Transformer whose alt mode is a rusty vintage vespa scooter? The little blue transformer looks funny but I still prefer Bumblebee! And you? The fifth installment in the Transformers movie franchise will hit theaters on June 23, 2017. Transformers 5 The Last Knight – Barricade’s motto is “To punish and enslave”. Barricade now looks like a really mean police car, great upgrade, love it! Do you like Bumblebbe’s new style? The car looks meaner than it used to, nope? What do you think? Tell us in the comments below! Megatron’s face looks larger than it used to, nope? Did he get fat? There’s a Robot in there. We also learned that Actor Josh Duhamel is set to reprise his role as Lt. Colonel William Lennox. The movie Transformers 5 will hit theaters on June 23, 2017. You are going to see a new Transformers movie coming from Hasbro and Paramount and Michael Bay and our other partners. In fact we just finished, which some of you may have read, just an incredible experience, we decided we wanted to plot out the next ten years of the Transformers franchise. So we got together in a room over a three month period of time with nine of some of the most creative writers I had ever worked with shepherded by Akiva Goldsman, who many of you may know won an Academy Award for Beautiful Mind and written a bunch of really great movies, and they plotted out the next ten years of Transformers. Similarly, we are doing the same in television and in digital. So stay tuned. Transformers 5 is on its way… and Transformers 6 and Transformers 7 and 8. Transformers 5 (directed by Michael Bay) is currently listed for a release in 2017 by IMDB. So would Transformers 6 get released in 2020 and transformers 7 in 2023, then Transformers 8 in 2026? Will Director Michael Bay come back for 6, 7, and 8? Well, I think likely that a new director will take over the franchise, but time will tell. Anyway, stay tuned with us for more details about those new Transformers movies! We already knew Paramount was planning to develop Transformers 5, a sequel to Transformers 4 Age of Extinction. It was initially slated for a 2017 release. But now it sounds like the studio execs want to speed things up, Paramount indeed announced at a Cinema convention in Europe that they’re actually eyeing a release in 2016 for Transformers 5. That’s till two years ahead of us, but hey, better than having to wait three years, nope? Since the dinobots have been introduced in the fourth film, I hope the fith film will introduce the Mini-Cons (a race of small, roughly human-sized Transformers capable of combining with a larger Transformer to impart extra abilities or greatly increase their strength). Anyway, who do you think will be the villain this time around? Do you think Director Michael Bay will stay on board? Share your thoughts below! 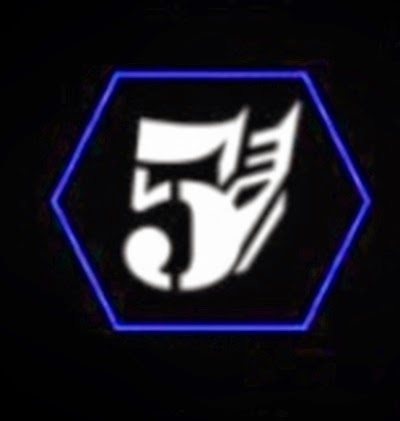 See the logo of Transformers 5? Well it’s not an official announcement, but we knew already that the studios were eyeing for more installments since they brought the new cast on board. So Transformers 5 is a done deal. Now, will Director Michael Bay return to helm the fifth installment? Sounds unlikely, he said he’d like like to leave the frnachise, but who knows, maybe he will keep around… Anyway, am sure they can find another talented chap to take over the franchise. Do you have any suggestion regarding the plot of Transformers 5? Do you want the Dinobots to stick around? What about Mark Wahlberg, Nicola Peltz, and Jack Reynor? Share your thoughts below! Update – December 16, 2016: Actor Mark Wahlberg just confirmed to CinePop that he will be reprising the role of Cade Yeager in Transformers 5.